Eminence Arctic Berry Peel will keep your skin radiant in-between spa treatments. This innovative 3-step peel and peptide system which awakens the skin’s natural inner beauty using an exquisite blend of arctic berries, lingonberry seed oil and hibiscus seed extract. 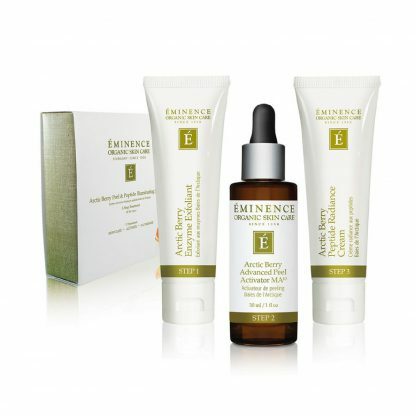 Eminence Arctic Berry Peel is a 3 step peel and peptide system suitable for all skin types including sensitive skin. 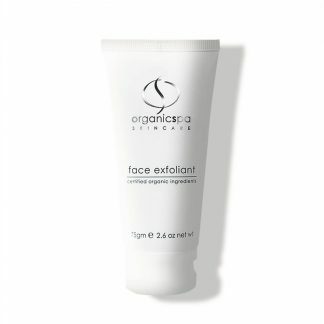 Experience the ultimate renewal from the powerful combination of enzymatic and manual exfoliation. For best results, use the Stone Crop Gel Wash (not included) to prepare the skin for the treatment. 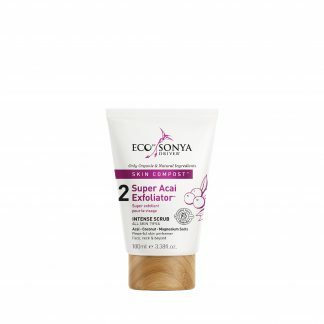 Apply ½ tsp (3ml) of the Step 1 Arctic Berry Enzyme Exfoliant to cleansed face with fingertips, starting with the forehead, then cheeks, then jaw and finally upper lip and surrounding areas to treat the entire face. Avoid the eye area and active areas. Continually massage with fingertips in circular motion for 3 minutes. You may feel a tingly or warm feeling during application. 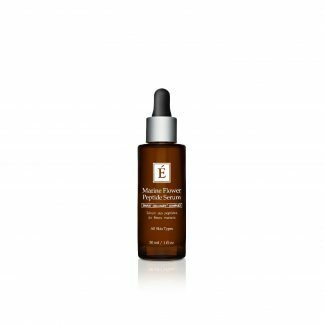 Do not remove, leave the Enzyme Exfoliant on your face and continue with Step 2 Arctic Berry Advanced Peel Activator MA10. Unveil a brand new you with this self-neatralizing MA10 (multi-acid 10%) peel that gently removes layers of the skin naturally to initiate clearer, smoother and more luminous skin. Layering over the Enzyme Exfoliant already applied to the face, begin application with 1½ full droppers of the Step 2 Arctic Berry Advanced Peel Activator MA10. Apply product to face starting with the forehead then cheeks, then jaw, and finally upper lip and surrounding area until the entire face is treated. Avoid the eye area and active acne lesions. 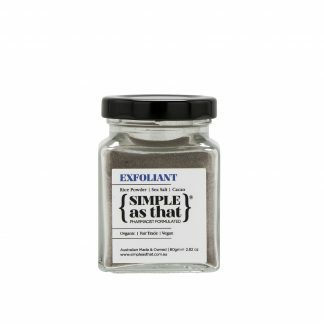 Use fingertips to mix the Activator with the Enzyme Exfoliant on your face. You may feel a tingly or warm feeling during application. Leave on for 3 minutes. Do not remove. 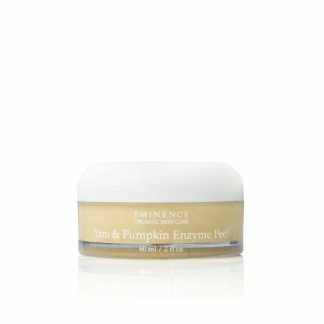 Finish off your radiant look and achieve maximum luminosity with this all-powerful, soothing moisturiser the features our exclusive Peptide Illuminating Complex. 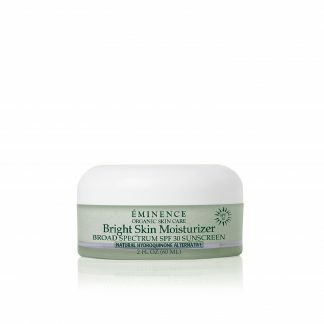 Apply a thin layer of Step 3 Arctic Berry Peptide Radiance Cream to the face, neck and décolleté and massage lightly into the skin until absorbed. Leave on. The Arctic Berry Peptide Radiance Cream can be used daily for deep lasting hydration and absolute radiance.